Boilerplate: This story is presented by VARIDESK, a workspace innovation company with a mission to create and equip their customers with the full office solutions they need to establish an active workspace that encourages creativity, collaboration and entrepreneurship. 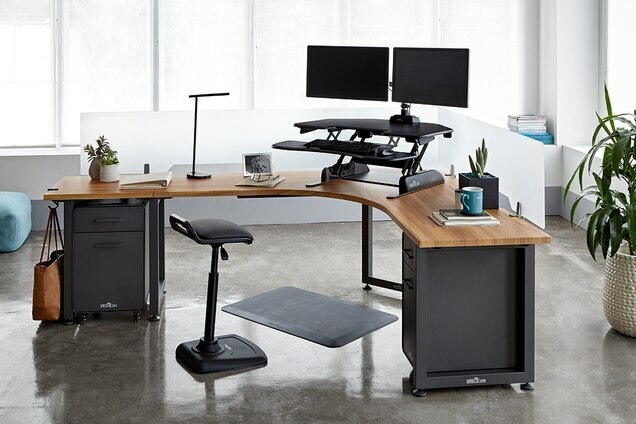 As a leader in the height-adjustable desk space, VARIDESK allows people to work sitting or standing, which helps to increase energy, improve health and bolster productivity. 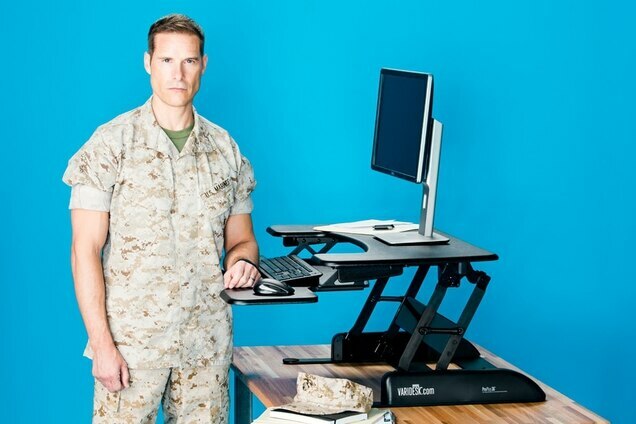 For more information, visit www.varidesk.com/military-gsa-advantage. With the fiscal year coming to a close, most government professionals are looking to make the most of their remaining office budgets. One of the best investments any office can make is in standing desks that help employees work at peak performance, ensuring the year ahead is as productive as possible. 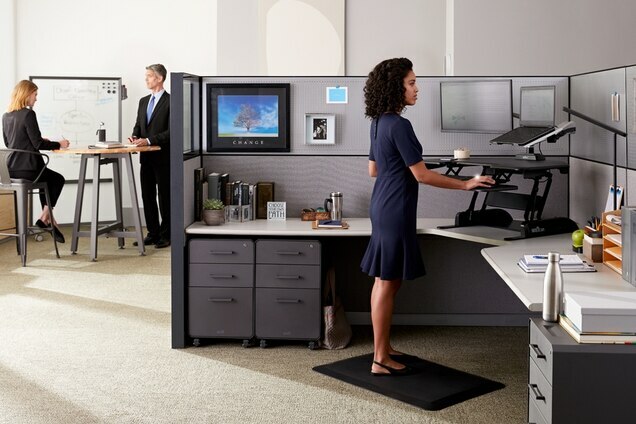 VARIDESK offers a line of standing desk solutions and accessories that help people get more done and feel better doing it. The company’s award-winning sit-stand desks are designed with simplicity in mind, which means no assembly and no installation. Plus, they sit right on top of a current desk and switching between sitting and standing only takes a few seconds. The company was founded on the premise that it’s not about sitting or standing all day… it’s about the flexibility to move throughout the workday. Research suggests that being physically active isn’t something that should be saved for workouts before or after work. By being active throughout the workday, employees are more focused and can perform at a higher level. 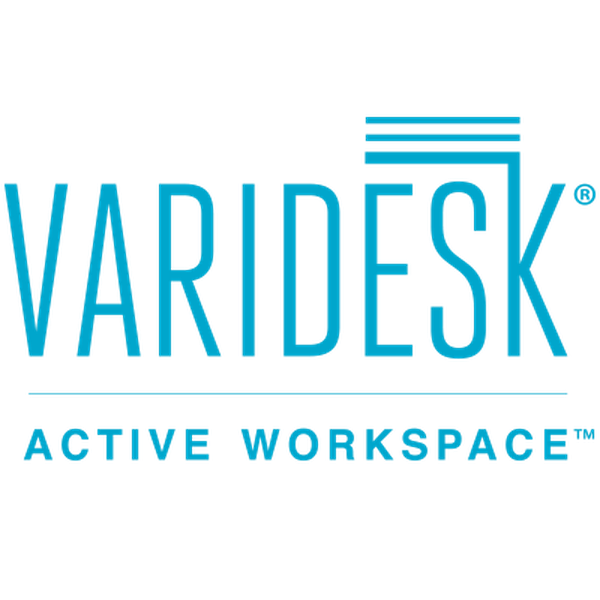 VARIDESK believes in helping other companies and organizations across the globe rethink how they work. Today, employees and employers demand flexibility in all aspects of their life, including their work environment. VARIDESK wants to help by building the offices of the future – ones that are flexible, scalable and affordable, allowing for increased productivity, creativity and focus, as well as improved physical health and wellness. Not sure which products are right for the office? VARIDESK offers a wide range of options that fit nearly any office layout or setup. For example, the Cube Corner 36 (SKU# 49864) is designed for the office that features cubicle systems. Their Cubicle Series features a variety of configurations designed to fit perfectly into most standard-sized cubes or modular spaces, including corner setups. The Cube Plus and Cube Corner models create a generously wide working space that allows the user to work sitting or standing at will. The simple design of the Cube Corner 36 takes the user from sitting to standing in just 3 seconds and requires no assembly, making it easy to add to any space. With VARIDESK, there is no need to pull out the toolbox, allowing users to transform a space without disrupting workflow. There are no complicated instructions– simply place the Cube Corner 36 on a desk or table, add monitors, a keyboard and a mouse and get back to work. When the user feels like standing, adjusting a VARIDESK is simple too, because the spring-loaded boost mechanism and dual handle design makes it easy to lift, lower and adjust to any of the 11 height settings. The Cube Corner 36 sports a two-tier design with the upper surface perfect for a monitor display and the lower equipped to hold a mouse, keyboard and more. The desk holds up to 35lbs, so you can rest assured your entire desktop is supported.VARIDESK is always looking to the future to stay ahead of the of the office furniture technology curve. The company is currently working on a 35-inch mat specifically for the GSA schedule, which they will be releasing soon. Each mat in VARIDESK’s roster encourages movement and stretching while standing and cushions feet, knees, hips and back for optimum posture and comfort. Convinced VARIDESK is the solution for your office? Many government professionals aren’t aware VARIDESK is available on GSA. Contact the company’s government sales team to learn about GSA discounts by calling 800.207.2587 – press #2 for sales and #2 again for Government Sales. VARIDESK’s GSA number is GS-27F-007-GA.VARIDESK also caters to tight deadlines to ensure an office is setup as quickly and efficiently as possible. When you order desks from VARIDESK, you’ll receive your order and an invoice in the same week. Order a VARIDESK by September 22 to receive the invoice by September 29. The best, most cost-efficient way to maximize productivity in your office in the new fiscal year is to invest in standing desks. With a full range of products including desks, accessories and more, VARIDESK offers a solution for every office. Invest now and experience the VARIDESK difference for yourself. Learn more about military and government offerings on GSA Advantage here. This article was produced by the creative services department of Military Times in collaboration with VARIDESK. The Military Times newsroom was not involved in its production.